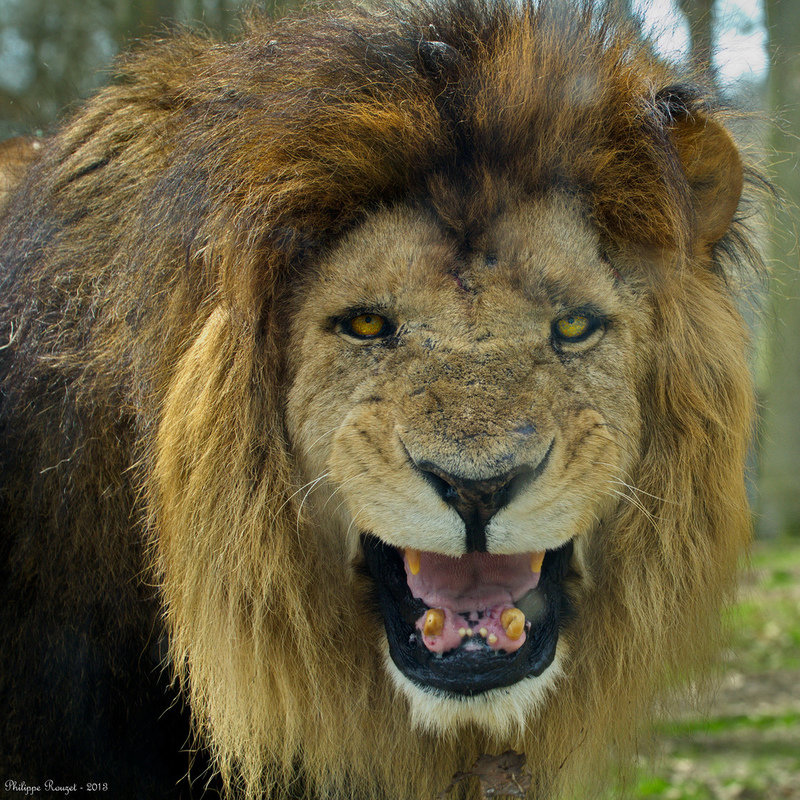 Have you ever come face to face with a hungry lion? Unless you lead a thrilling life of daring safari adventures, my bet is the answer is no. The only place I’ve ever seen a lion is in a zoo, from the safety of the thick restraining glass. Even when the lion dares to walk right next to the glass on the other side, I know I’m safe. He poses me no threat at all. But there’s another lion I do face on a daily basis, one who is much more dangerous than the lion I see in the zoo. This lion is constantly prowling around, looking for his next prey. I don’t know where he’ll show up or what tricks he’ll use, but I know I’m never safe from him. And neither are you. By now you’ve probably realized that this lion of whom I speak is actually the devil. Recall with me the words of 1 Peter 5:8- “Be sober-minded; be watchful. Your adversary the devil prowls around like a roaring lion, seeking someone to devour.” Now, that’s a chilling thought. And remember that the Bible often refers to Christians as “sheep” and to Christ as our “Good Shepherd.” So let’s think about this. How do sheep keep safe from prowling enemies outside the fold? They stick with the flock and follow the shepherd, right? Do you see the connection here? If we hope to protect ourselves from the worst enemy of all, Satan, we absolutely have to stay with the flock and follow our Shepherd. If there were no wolves or lions or predators out there, sheep could resist the shepherd and wander off with no real fear of consequences. Likewise, if Satan weren’t lurking about, we could resist our Shepherd and wander away from the fold. No big deal. But you see, Satan is real. Very real. And as an actual lion looks first for the weak, the lame, the vulnerable sheep, so Satan preys on weakness. Certainly, those who have already distanced themselves from the fellowship of believers are in an incredibly vulnerable position, wide open to attacks from Satan. Without the rest of the flock to surround him and protect him, such a wandering sheep is an easy target for the devil’s tactics to draw him away. But no Christian is ever truly safe. See, here’s the thing- the devil knows he has the rest of the world. He doesn’t bother too hard to entice away non-Christians, because they’re already in his lair. He’s still smarting from his defeat when Jesus rose from the dead, so he focuses his attention on drawing Christians away from their Shepherd so he can devour them. Ever notice how your kids seem to be on their worst behavior in church or during devotions? Even notice how easy it is to let your own mind wander during a sermon at church, or even to nod off to sleep? The devil works his hardest when the Word is being proclaimed. He’s there in our midst, whispering and enticing us away, promising us he has something better, more exciting, more popular, whatever. And he knows your weaknesses. If you’re easily tempted to gossip, say, he’ll give you plenty of opportunities for that. If you struggle with an addiction, he’ll see to it that you have access to whatever it is that seeks to control you. He plays upon your weaknesses. And he’s really good at what he does, because he’s been doing it for years. He even tries to lull you into a sense of complacency or indifference. It doesn’t really matter what you believe, as long as you believe it with all your heart… You don’t need to tell others about Jesus. After all, you don’t want to offend anyone. Keep your beliefs to yourself… And if we hear these lies enough, we just might believe them ourselves. On our own, we will fall for his lies every time. But we aren’t in this alone. We have a Good Shepherd, one who has already laid down His life for us, His sheep. He faced the attacks of Satan and resisted them, which we could never have done. Then he allowed Himself to be killed in our place. We should by all rights have been devoured, but our Shepherd loved us too much for that to happen. He died in our stead, and rose to defeat that evil lion, the devil. Oh, he still prowls about, and he is dangerous and powerful indeed, but your Shepherd is more powerful. Stick with Him. You are Jesus’ little lamb. He will keep you safe in His arms until he carries you to your eternal home in heaven.